Your integration will be successful only if your app review is successful, which is the last step. Facebook will notify you once the review is complete. Usually it takes up to 48 hours. 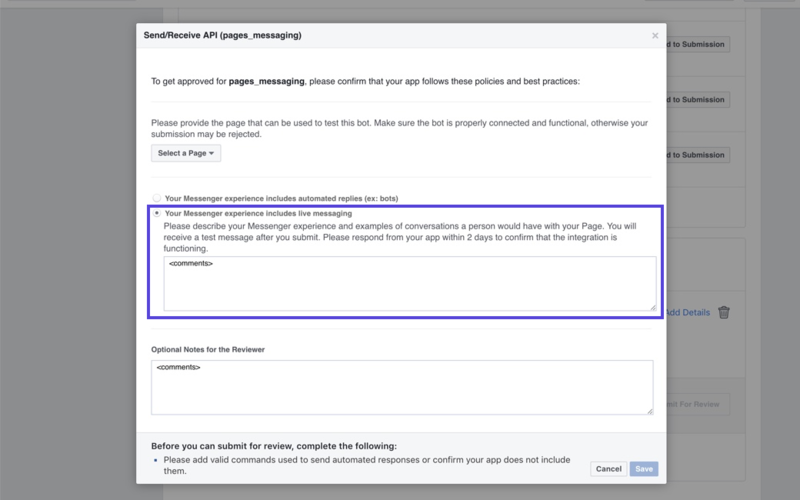 Go to App Review for Messenger in Messenger Settings. Click Add to Submission for the “pages_messaging”. It will now appear under Current Submission. Scroll down and click Add Details. A pop-up window appears. In Select a Page option, select your page. 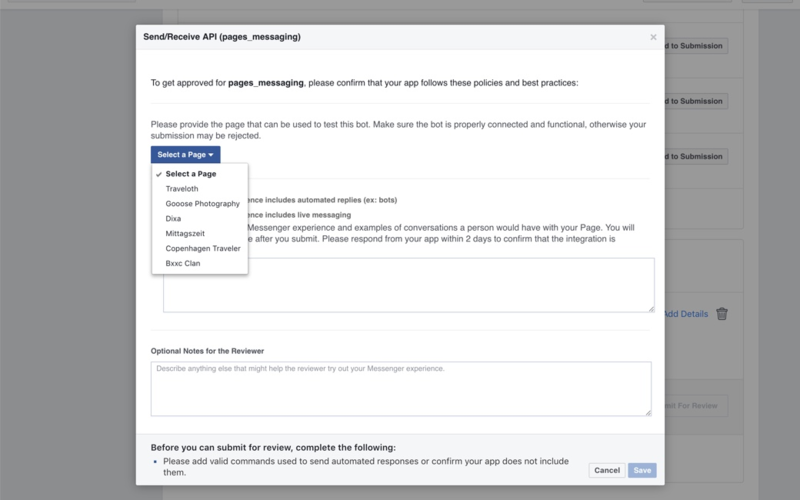 Select Your messenger experience includes live messaging. 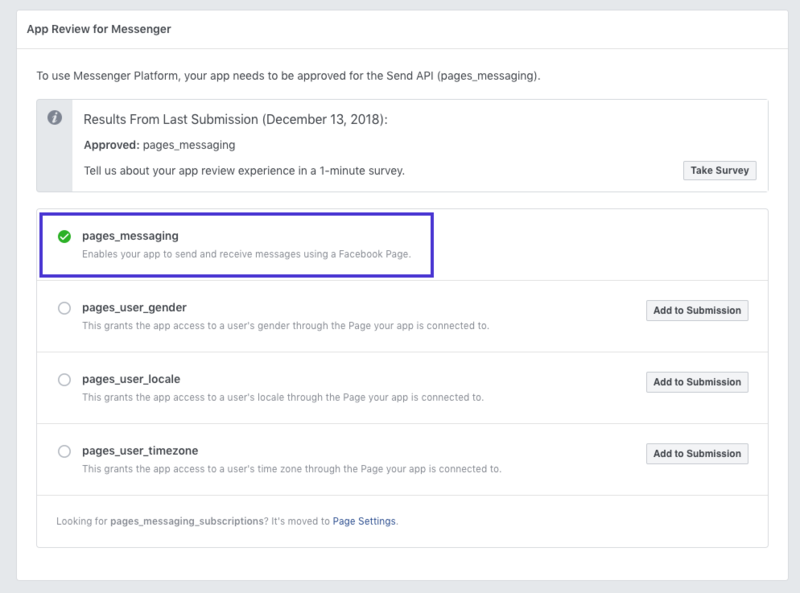 In the text area where you are supposed to describe the Messenger experience, write "This is a live messaging application only, that might include some quick replies asking for the email". Click Save. Click Submit for Review. This is really important, the review process won't start. Scroll back to the top and switch the toggle beside Status to make your app public. 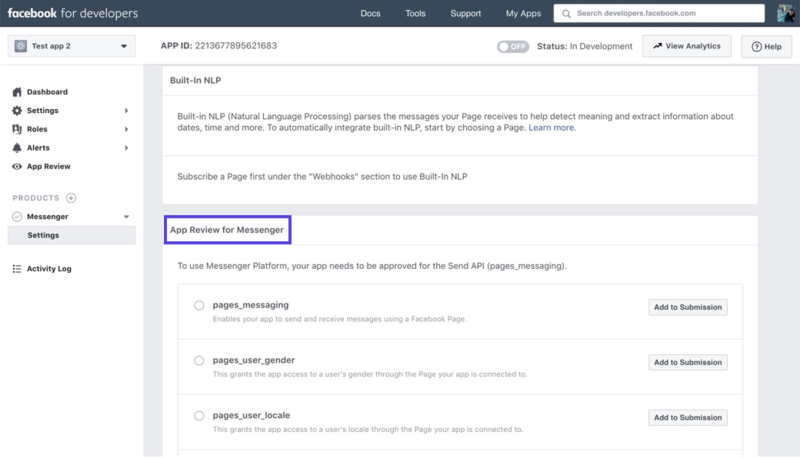 After “pages_messaging” has been approved (and thereby marked with a green light), the integration between Facebook Messenger and Dixa is ready. You can expect to hear from Facebook within 48 hours. They might send you some documents to sign, and once that is done you can get started with messaging in Dixa. For more information about the App Review and the Business Verification process, please refer to the official Facebook documentation.